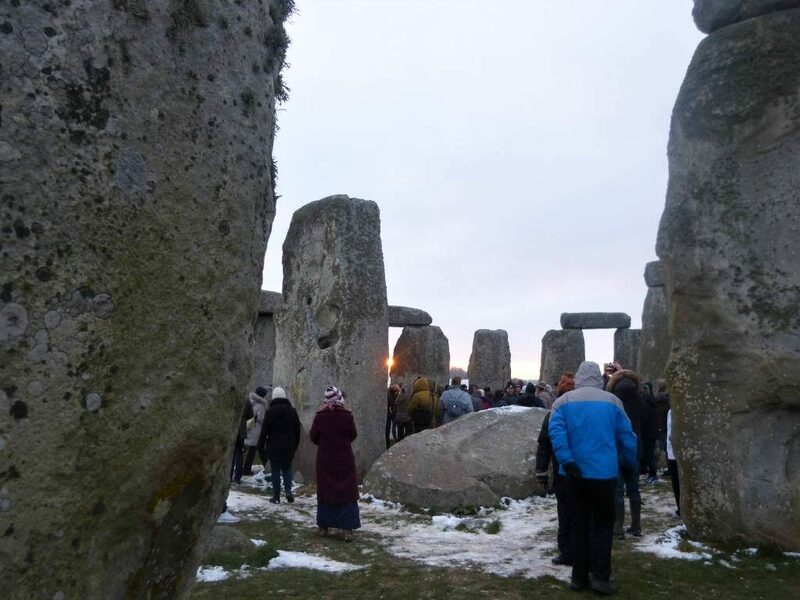 22nd December Stonehenge Winter Solstice special offer tour - £45 per person (not including lunch). Pick ups from Calne town centre and from Bath outside The Abbey Hotel - see below for their amazing special offer. 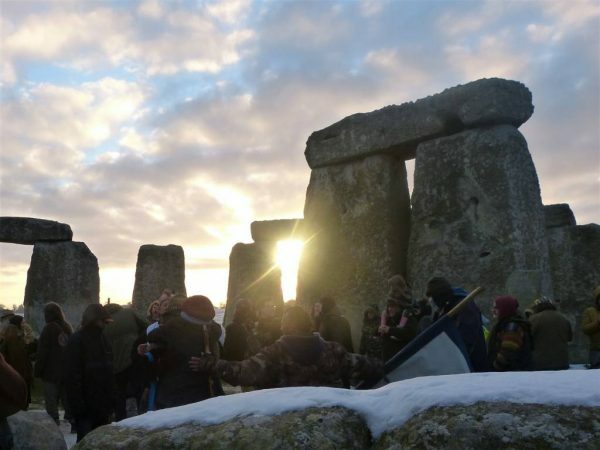 On the Saturday before Christmas a very different celebration will take place at Stonehenge and you can take part in it. Most archaeologists now believe the winter solstice, the year’s shortest day, was the most important solar event at Stonehenge. 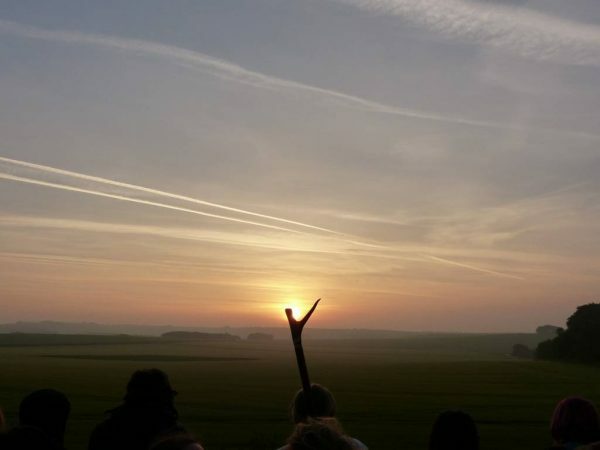 It is one of only four days of the year when you are allowed to walk among the stones at dawn and on Saturday the 22nd December 2018 Oldbury Tours will be taking a small group down to the stones to share that experience and enjoy a day out in prehistoric Wiltshire. 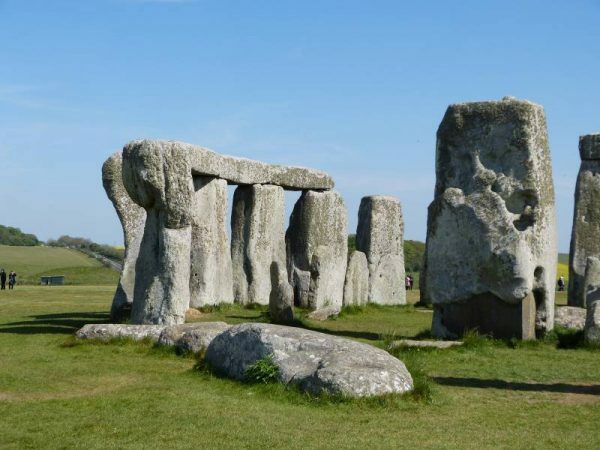 You will be driven by minibus from the centre of Calne or from the The Abbey Hotel in Bath to Stonehenge for sunrise at the stones. 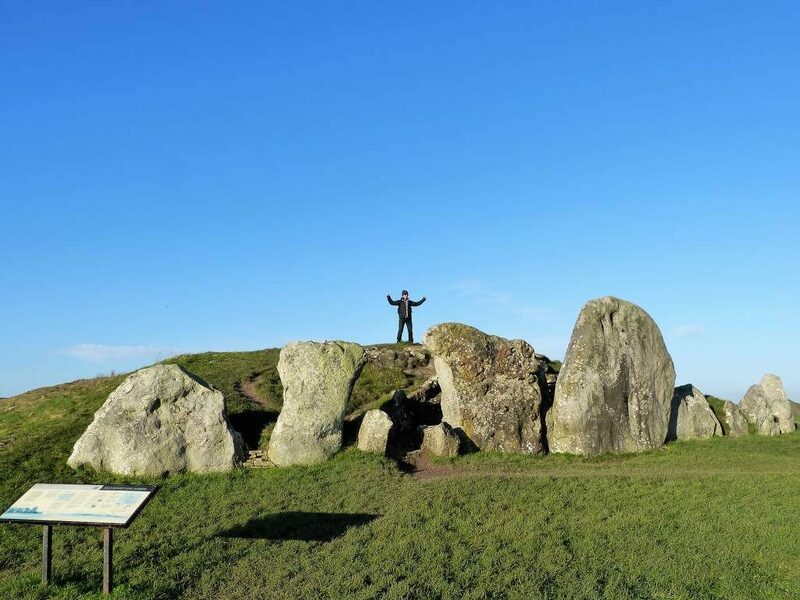 During the journey Laurence, owner and guide of Oldbury Tours, will introduce you to the many mysteries surrounding the UK’s most famous ancient monument including the latest theories about its winter purpose. On arrival you will join the day’s celebrations within the circles led by the modern Druid orders. It is a very relaxed form of ceremony and everyone is welcome. Option 1: to continue a tour of prehistoric Wiltshire with Laurence. 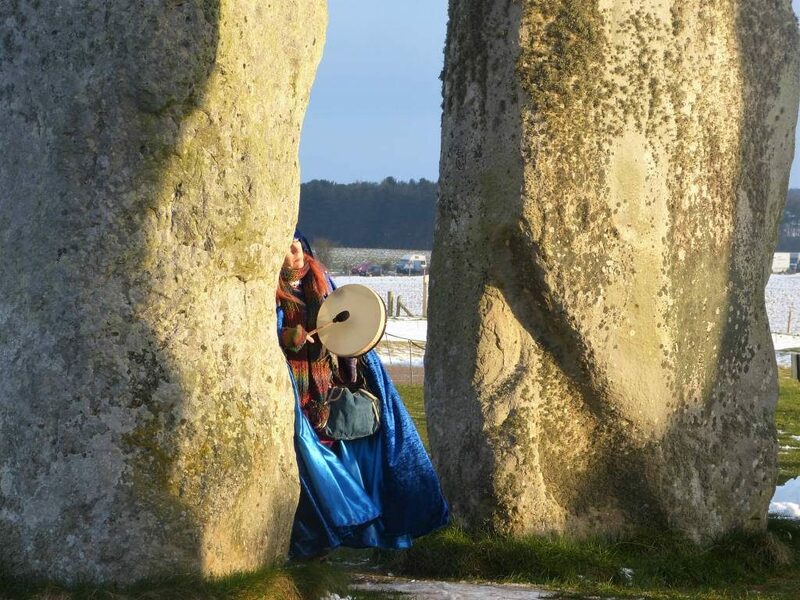 From Stonehenge you will be taken to Avebury where more prehistoric monuments remain as witnesses of other past ceremonies. Here you will follow the mysterious stone avenue into Avebury, the largest stone circle in the world. Lunch will be at The Waggon and Horses a traditional thatched pub described by Charles Dickens in The Pickwick Papers. 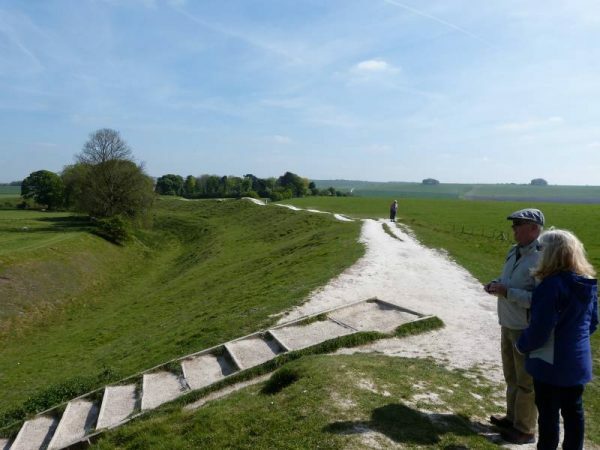 After lunch you will finish the day with a walk up to and into West Kennet Long Barrow, a 5,500 year old tomb and spectacular views of Silbury Hill, the largest prehistoric man made mound in Europe. 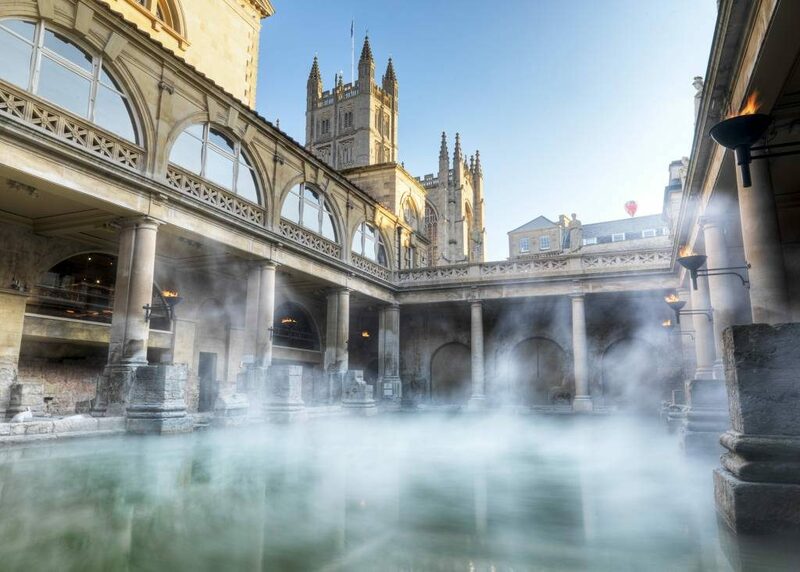 You will be returned to Calne by 15:00 and Bath by 16:00 – the shops will be open late! 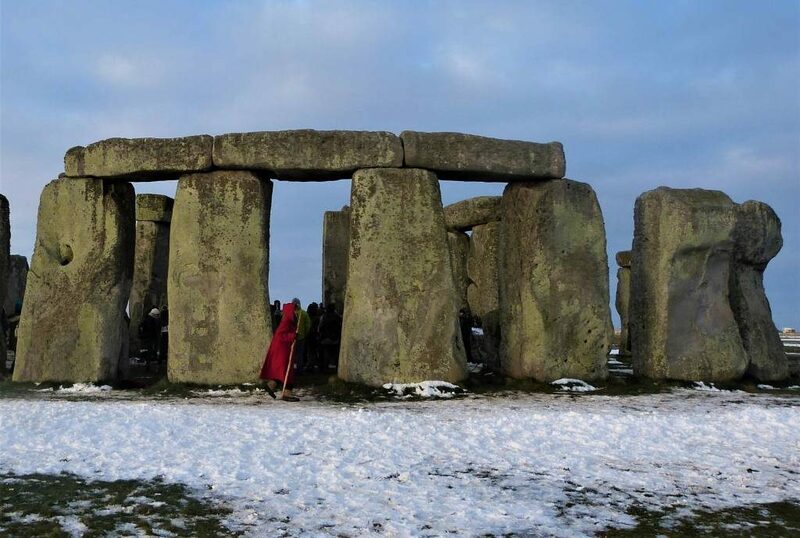 Option 2: to go straight back to Bath from Stonehenge to do any last minute Christmas shopping. Places are limited so you will need to book by emailing Laurence here: [email protected] Please quote the reference ‘Winter Solstice deal 2018’. 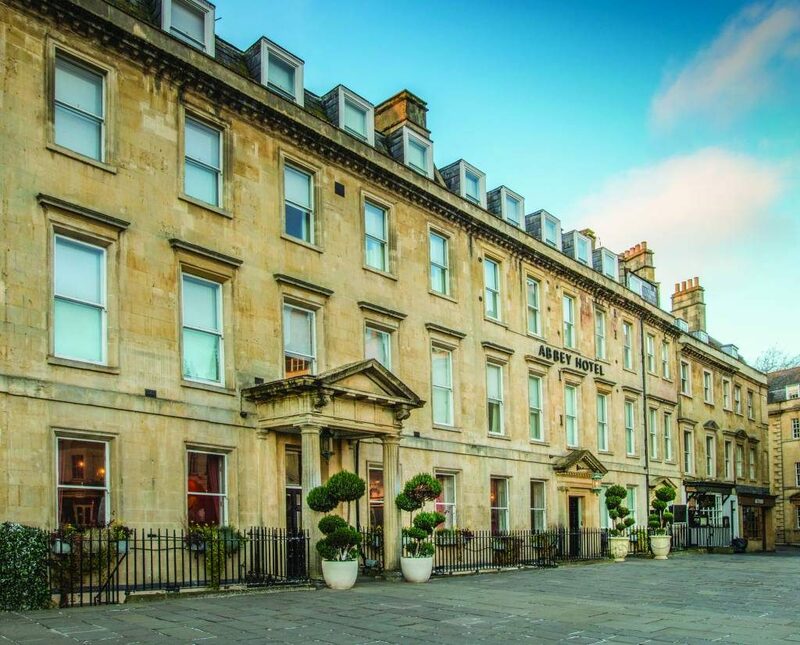 The Abbey Hotel are offering a discounted dinner, bed and breakfast rate of £375.00 for a two night stay in the centre of Bath. This is based on two adults sharing a Superior Double or Twin room on Friday 21st December for two nights. 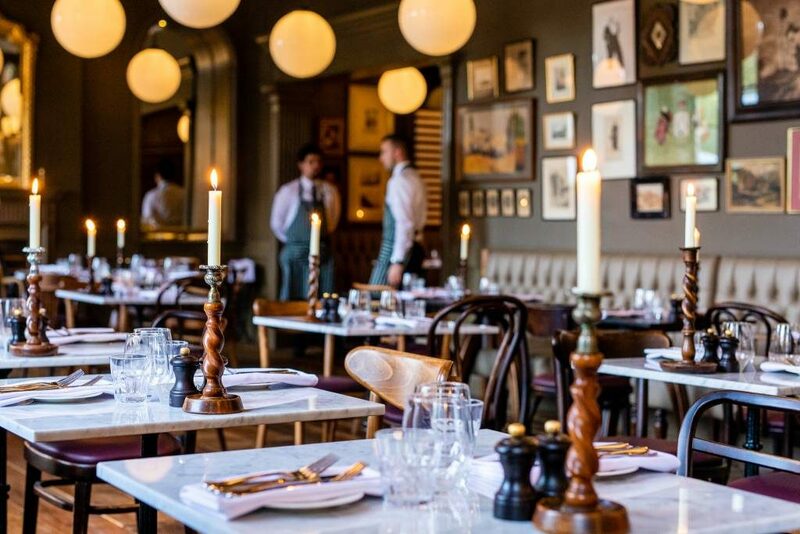 It is inclusive of full English and Continental breakfast each morning and dinner in their restaurant which opened in October 2018, Koffmann & Mr. White’s (£30.00 allowance per person). 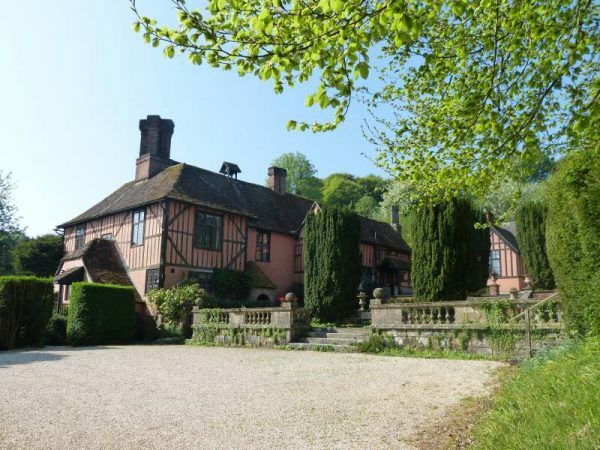 Oldbury Tours has joined forces with two of our favourite local accommodation suppliers to bring you some very special experiences. If you can’t choose between them and would like to do both tours then we recommend you stay for a third night. This is a great way to really get to know the history and heritage of our wonderful area. For three nights accommodation and two days touring the Perfect Wiltshire Cure costs £717 and England’s Ancient Heritage costs £830. The Perfect Wiltshire cure for two. £349/£439 depending on tour option (includes the tour of your choice, two nights accommodation in a Shepherds Hut, a picnic lunch and all transport) Extra costs: entrance tickets and evening meals. Come and let Wiltshire cure you of your daily stress and worry, at least for two nights! 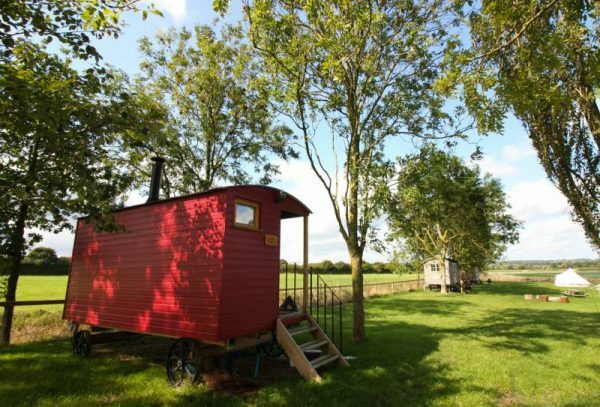 Your package includes two nights under the stars in a luxuriously appointed Shepherds Hut with a day’s tour of Wiltshire’s wonderful countryside. Highway Hill’s shepherds huts sleep two in a double bed. 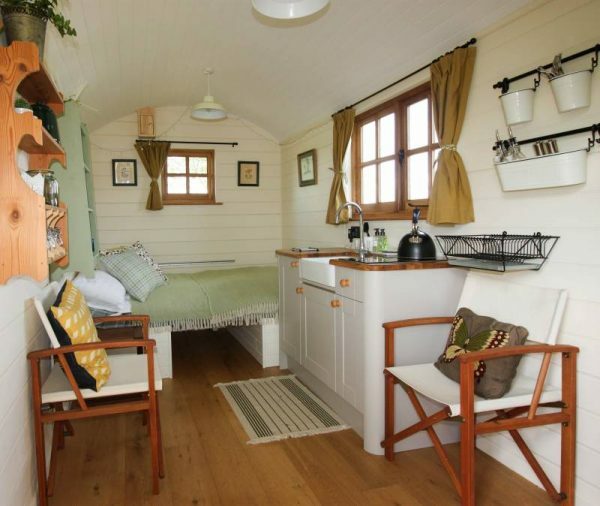 The shepherds huts offer a great alternative to traditional accommodation. Set on the edge of the North Wessex Downs Area of Outstanding Natural Beauty, and on a working farm, you will find the best of Wiltshire’s nature literally on your doorstep. A shepherds hut gives you the best bits of indoor-outdoor living: inside, high-quality bedlinen, a cosy woodburning stove, and compact kitchen with complementary milk, farm fresh eggs, and dry goods, ensure that you can get all your creature comforts met; while outside, a barbecue fire bowl for outdoor cooking, birdsong, and sparkling stars at night all keep you connected to and grounded with nature. If you have time, climb Highway Hill itself for a view that stretches for miles, offering the fantastic wide open skies that Wiltshire is known for, and spectacular sunsets. *Highway Hill also offer a three person Bell Tent as an alternative to the Shepherds Huts. The tent accommodates three, has the same location, but doesn’t have all the facilities listed for the huts. Please enquire if you would like this option. England’s Ancient Heritage for two. £431/£535 depending on tour option (includes the tour of your choice, two nights accommodation in luxury bed and breakfast, a picnic lunch and all transport) Extra costs: entrance tickets and evening meals. 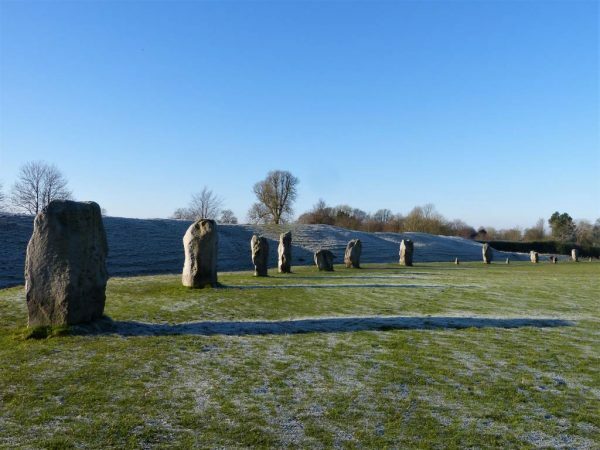 Immerse yourself in history by staying in an historic house at the gateway to the World Heritage Site of Avebury and Stonehenge. 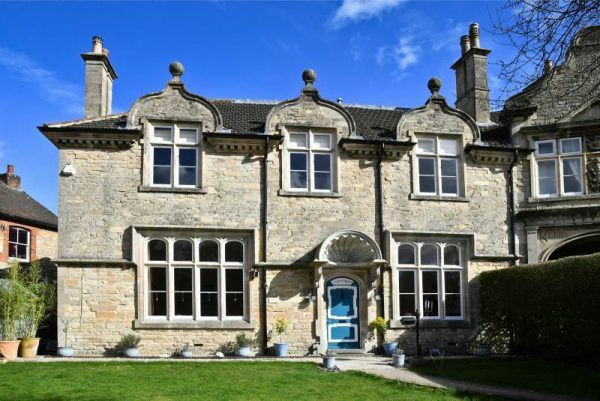 Your package includes two nights bed and breakfast accommodation in the heritage centre of Calne with a day’s tour of Wiltshire’s wonderful countryside. A very warm welcome awaits you behind the blue door. 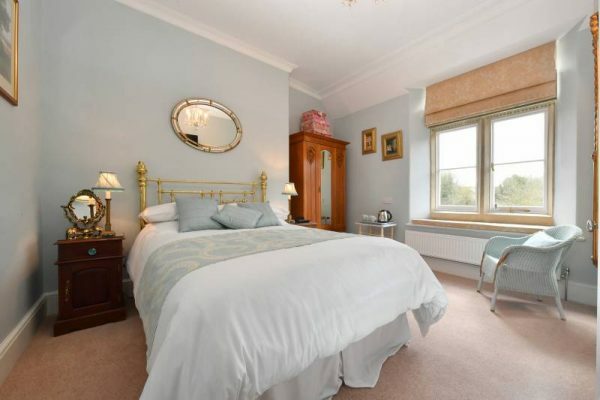 Ellie and Gillian run a very special Bed and Breakfast in the heritage centre of the historic town of Calne. The term ‘boutique’ is perfect for their delightful house. Everything is taken care of for you and they go well beyond the extra mile to make sure your stay is a wonderful experience. Ellie has a passion for good food and her breakfasts are a step above. She cooks everything to order and caters for all dietary requirements. The rooms are all individually styled and no expense was spared in their furnishings and decoration. You can choose to stay in the Victorian Room or The Gothic Room* which are both fully en suite and beautifully appointed. Your stay includes tea and cake on arrival and a sumptuous breakfast each morning. The town of Calne is an interesting place to explore boasting its own 12th century church and some charming Georgian and Victorian architecture. It is also where Joseph Priestly discovered oxygen in 1774. There are lovely walks from the front door through woodlands and along the old canal and river valley, perfect for a summer evening stroll. *If you would like to upgrade to a King size room there will be a £13 per night extra charge subject to availability. 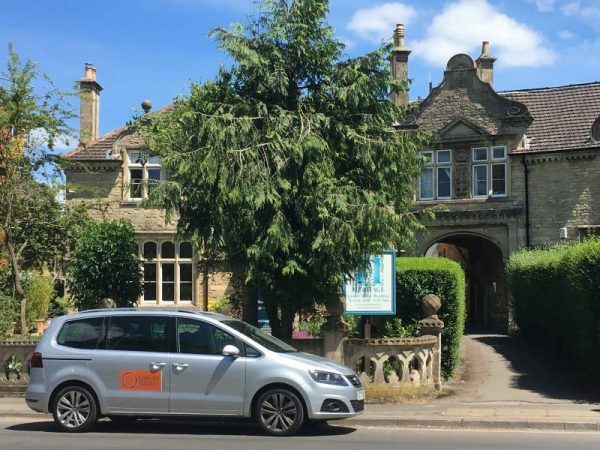 Your tour: Transport from your chosen accommodation in a seven seat SEAT Alhambra Lux – fully air conditioned and with leather seating. 09:00 departure: You will go first to the Avebury area where your tour will begin with a visit to The Sanctuary for an overview of this unique UNESCO World Heritage Site and an introduction to the prehistory of the UK. 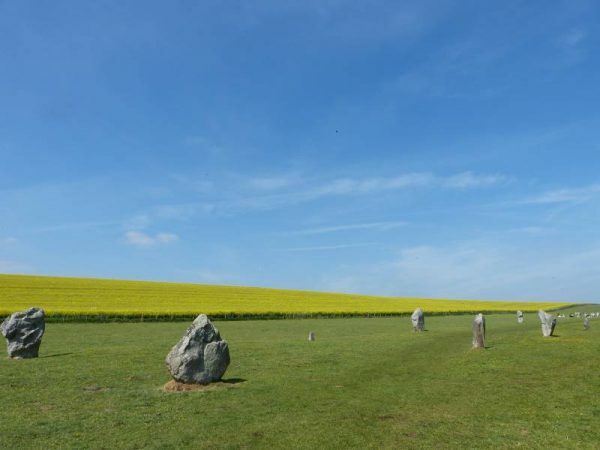 You will then walk part of the ceremonial West Kennet Avenue and visit Avebury itself with its prehistoric henge and the largest stone circle in the world. Lunch will be a picnic on the downs or under cover if the weather isn’t favourable. Please let us know of any dietary requirements. After lunch you will be driven through the beautiful Pewsey Vale with its famous white horses and picturesque villages. 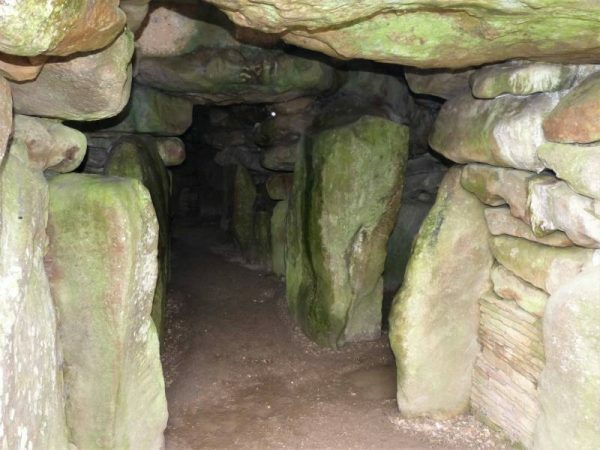 A few extra stops might include a Saxon church, some much lesser known prehistoric sites, a bubbling spring, a modern long barrow and a crop circle or two in summer. 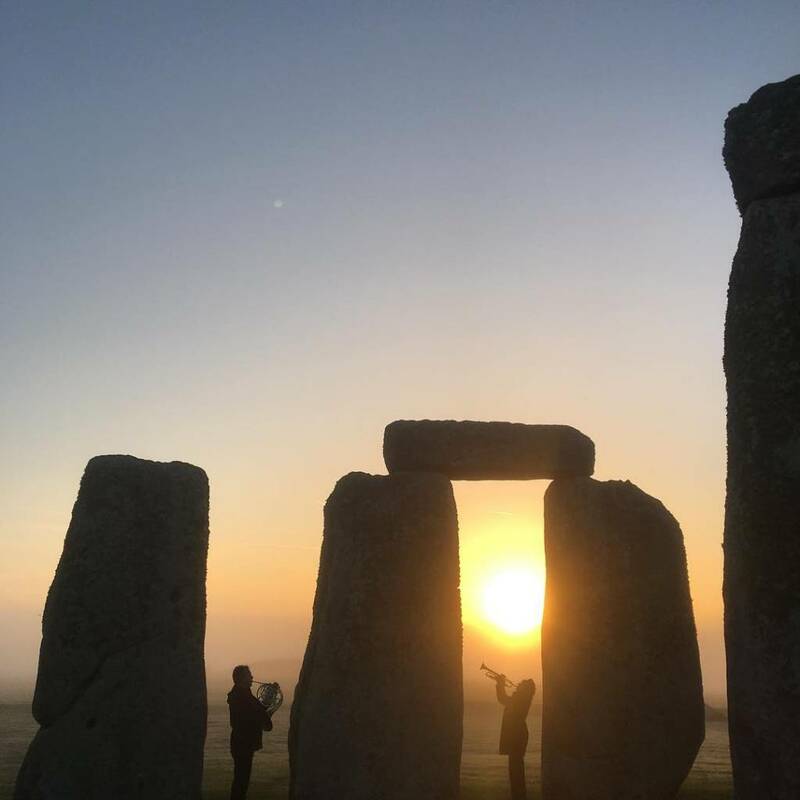 You will then visit Woodhenge, Durrington Walls, the recently discovered village site where the builders of Stonehenge lived, and the iconic monument of Stonehenge itself (entry fee £17.50pp). Entry to Stonehenge is free to National Trust and English Heritage members so please let us know if you have membership to either. At the end of the day you will be returned to your accommodation. Please see below for supper suggestions. Optional add-ons include a visit to Devizes Museum to see the exhibition ‘Gold from The Time of Stonehenge’. This would be 40 minutes before lunch. Entry is £6 each. 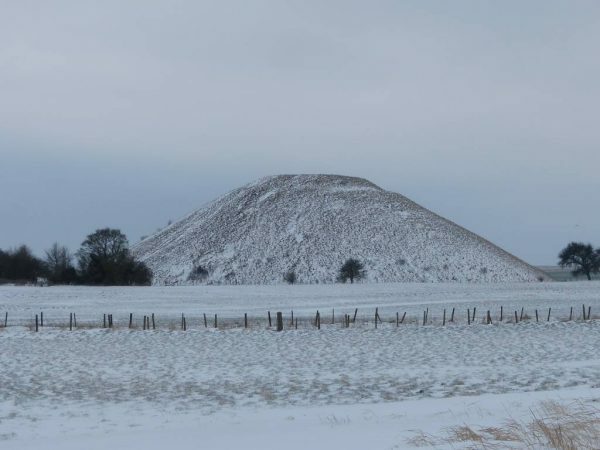 08:00 departure: You will be taken to Marlborough, a wonderfully historic town perhaps named after the burial site of Merlin, the legendary wizard: the prehistoric mound called Merlin’s Mount (Merlin’s Barrow) is visible from the road. From there you will be taken via Pewsey with its statue of King Alfred the Great to visit Old Sarum the hill top site of a Norman Castle and Cathedral and the gathering place for all William the Conqueror’s barons in 1086 at the time of The Doomsday Book. 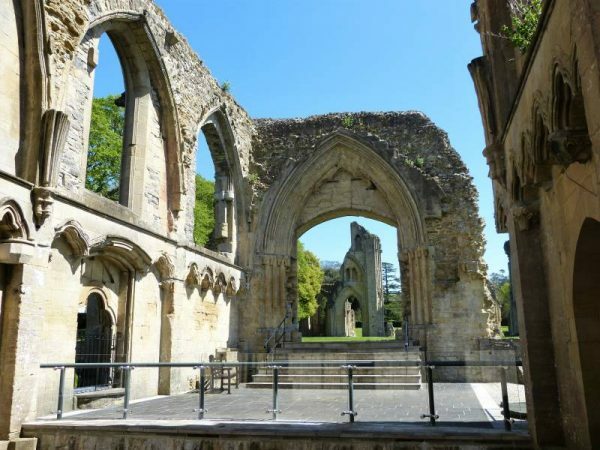 You will then visit the ancient market town of Salisbury with its magnificent 13th century cathedral and the best preserved of the four original copies of King John’s Magna Carta sealed in 1215. Lunch will be a picnic in the Cathedral grounds or under cover if necessary. 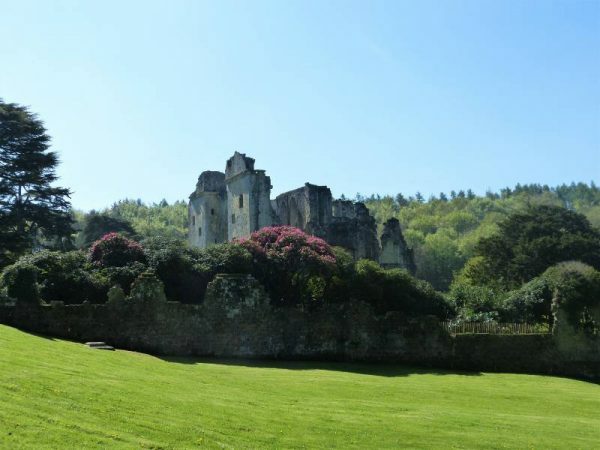 In the afternoon you will visit Tollard Royal to see King John’s hunting lodge and Old Wardour Castle the epitome of a romantic ruined English Castle dating from 14th century, before continuing through Cranborne Chase, a designated Area of Outstanding Natural Beauty, to Glastonbury. 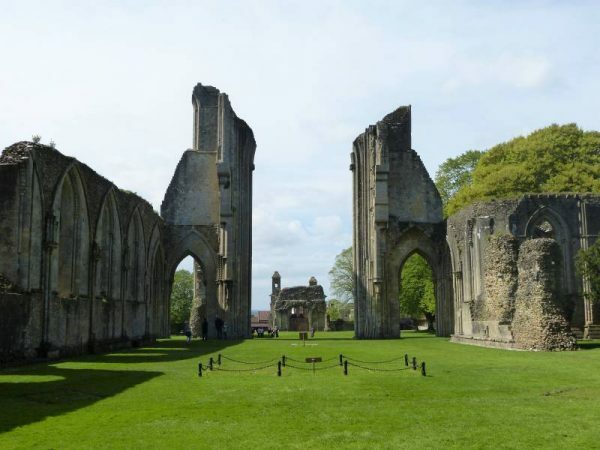 Here you will visit the hugely evocative ruins of Glastonbury Abbey, the legendary Isle of Avalon and burial place of King Arthur and Queen Guinevere. Entry to Old Wardour, Old Sarum and Glastonbury costs £19.54 per adult. Please let us know if you are an English Heritage member as this entitles you to free entry of Old Wardour Castle and Old Sarum. At the end of each day you will be taken back to your accommodation in time for supper. You can either use the cooking facilities at Highway Hill and relax under the stars or we can book you a table at The White Horse in Compton Bassett. Highway Hill also have a relationship with a local catering company providing prepared meals if you want to eat on site but don’t want to cook. Please let us know if you would like to pursue any of these options so they can be organised for you. We can book you a table at The Lansdowne Strand Restaurant (excellent modern British cuisine using fresh local produce), Antica Roma (family run traditional Italian restaurant) or Bengal Spice (authentic Indian cuisine). Please let us know if you would like to pursue any of these options so they can be organised for you. The site of King Arthur and Queen Guinevere’s tomb? If you can’t choose between them and would like to do both tours then we recommend you stay for a third night. This is a great way to really get to know the heritage of our wonderful area. For three nights and two days touring the Perfect Wiltshire Cure costs £717 and England’s Ancient Heritage costs £830.